For well over a year my friend Tyler Cyrenne has been trying his hand at writing movie reviews. Like myself, Tyler went to film school and has always had a certain knack for recommendations (eye roll here). He once suggested Confessions of a Teenage Drama Queen and I have yet to let him forget it. In all seriousness though, Tyler's site Angry Charlie Reviews is quickly growing an impressive library of reviews covering a variety of genres and styles. 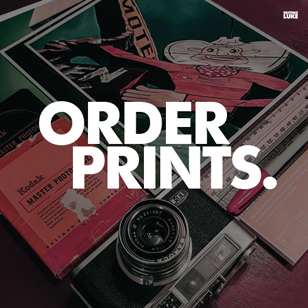 I've found it entertaining getting to see Tyler express himself in an online project that he clearly has a passion for, and it's exciting watching his writing style and focus evolve as he gains more traction with readers. I generally have difficultly with movie review sites simply because there are so many of them. 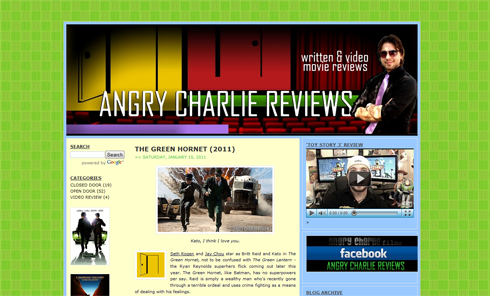 What makes Angry Charlie Reviews different is the framework that it's built on. With reviews of some of the latest releases, several shots at video reviews, and support from his personal blog Don't Make Charlie Angry, Tyler is branding himself and the determination is starting to pay off. He's been featured on the popular site Ain't It Cool News and has also had a pull quote taken for a movie poster that one of our friends was a part of. I'd say that's a pretty good start. While Tyler continues to refine and find his voice there's no question that his site will only continue to get better. I thought I'd throw my two cents into the ring to try and help you out Angry Charlie. Check out his site and latest reviews here.